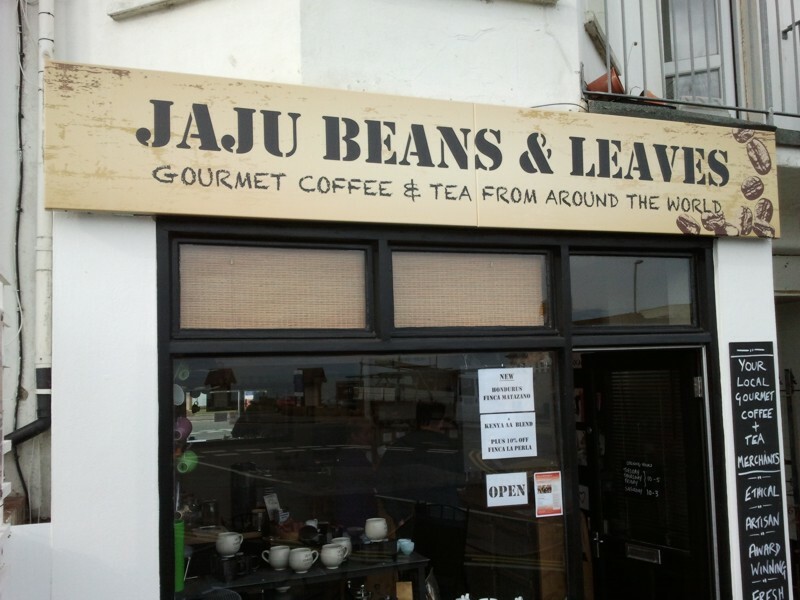 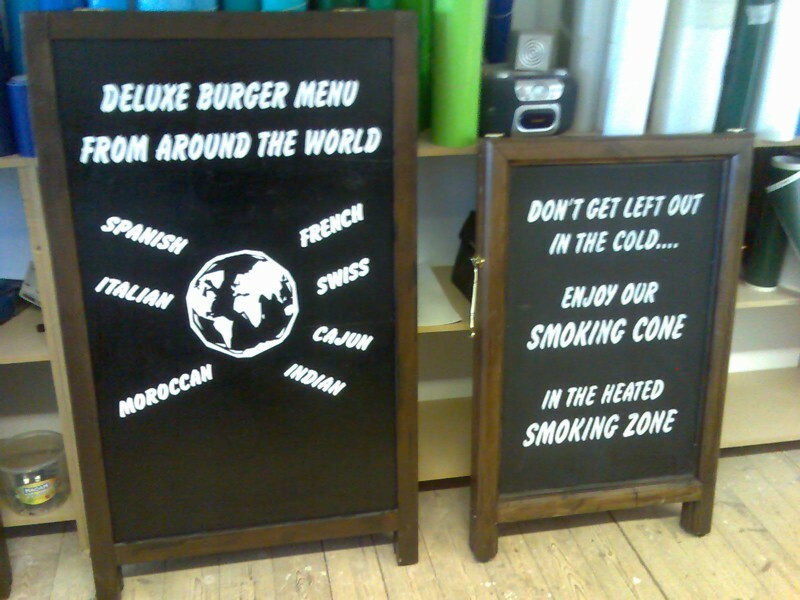 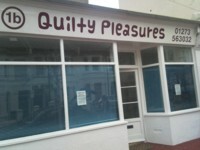 McQuillan Signs and Graphics Brighton | Examples of Our Signmaking Work. 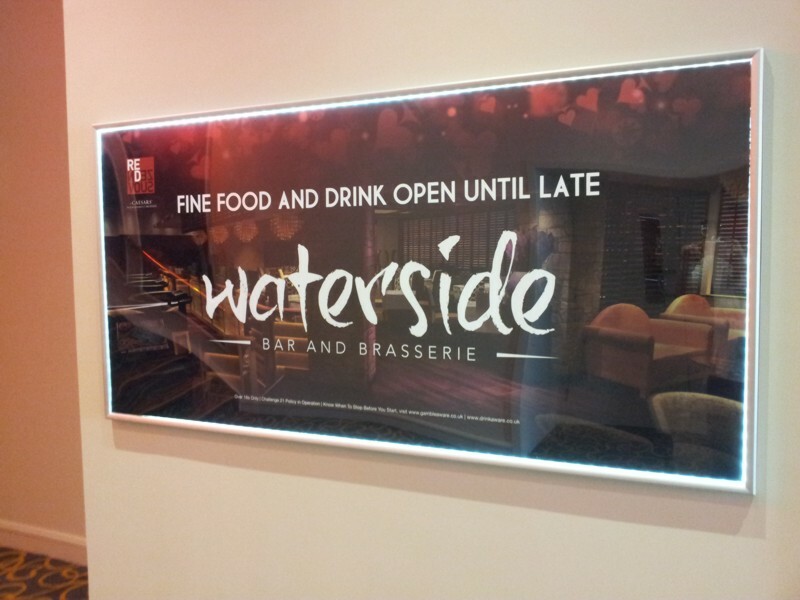 Printed Vinyl Fascia on Aluminium Trays. 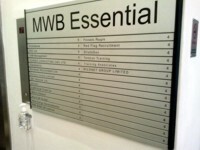 Clear Perspex Directory Sign with White Metallic Acrylic backing sheet - wall-mounted. 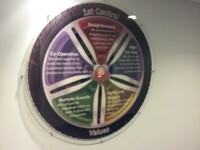 Reverse-printed vinyl on clear Perspex circle, mounted on wall using solid brass side-supports with Satin Chrome finish. 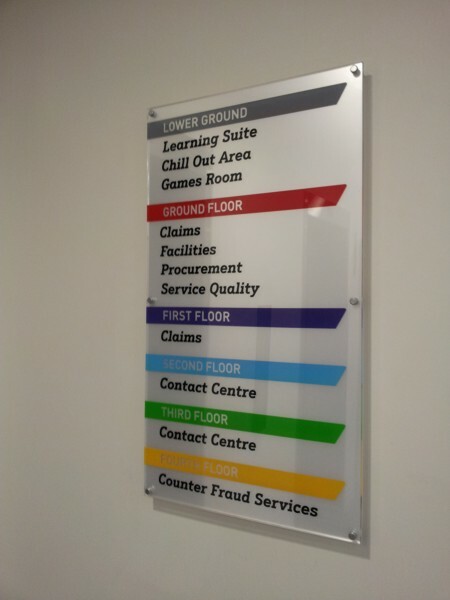 Office Fascia Sign in Multi-coloured printed vinyl. 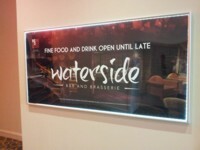 Printed Vinyl on 1mm Foam PVC & Slotted into Clip-Frame Light Box. 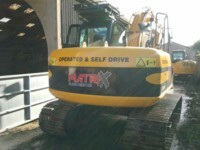 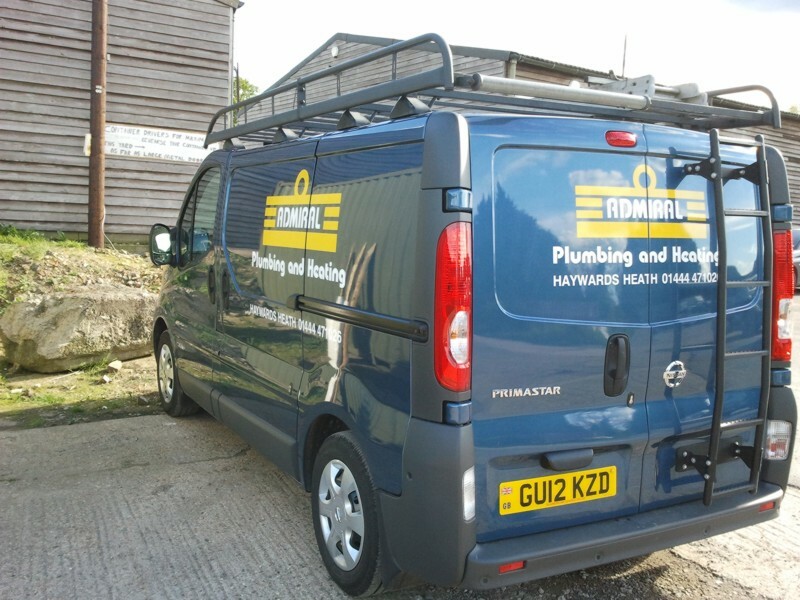 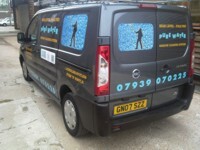 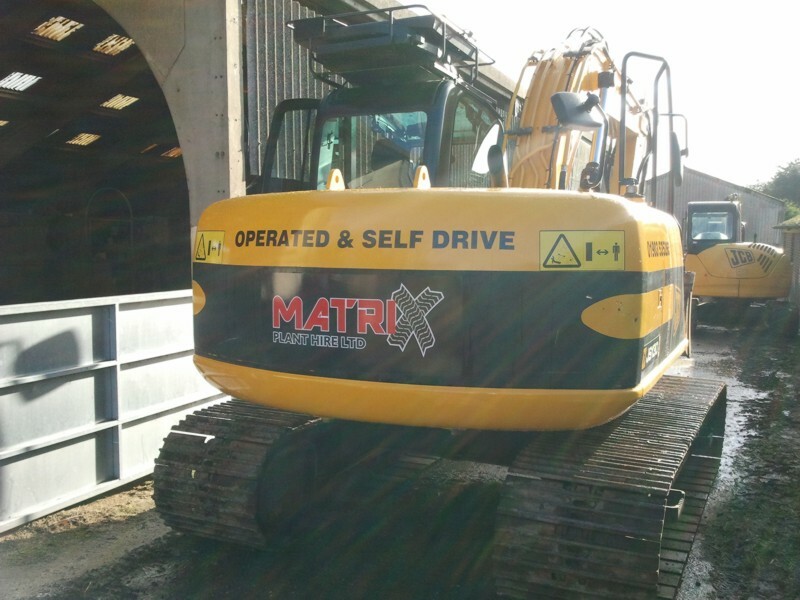 Company vehicle with Self-Adhesive Vinyl and Graphics. Window Cleaner's Van - Lettering & layout designed by us, and fixed using Self-Adhesive Vinyl. 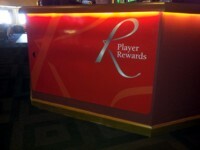 Self-Adhesive Vinyl Logos & Lettering. 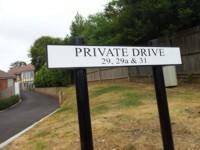 Aluminium Double-panel V-shaped sign with Self-Adhesive Vinyl Graphics & Lettering. 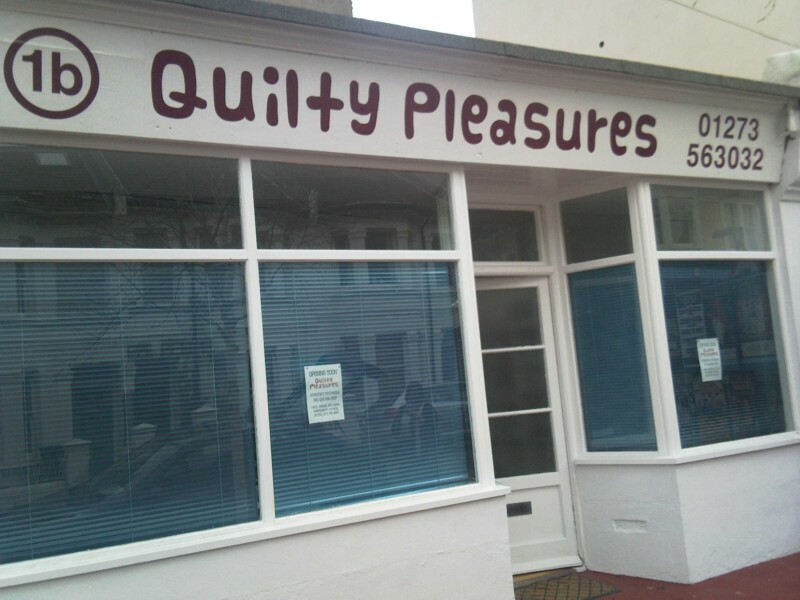 Shop Fascia in Self-Adhesive Vinyl. 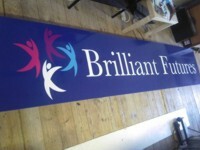 Multi-coloured printed vinyl on Foam PVC. 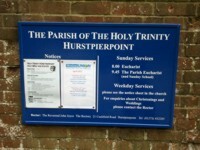 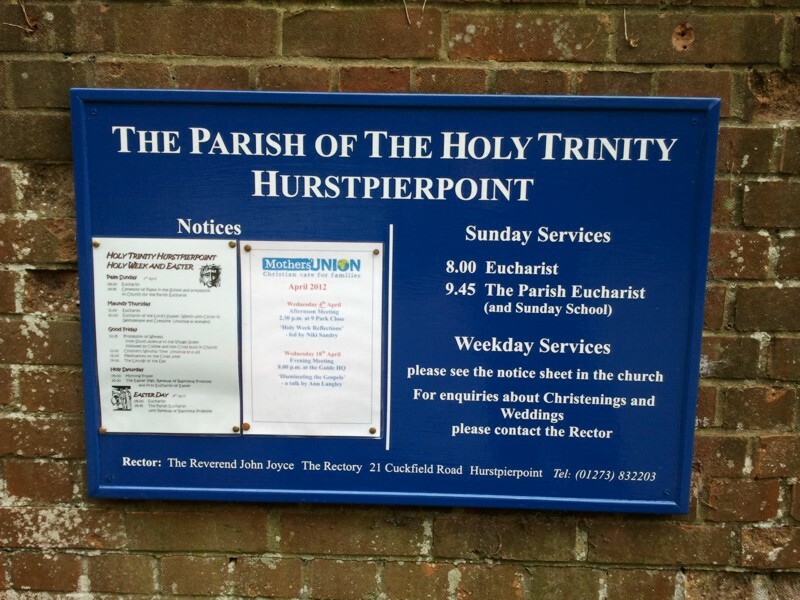 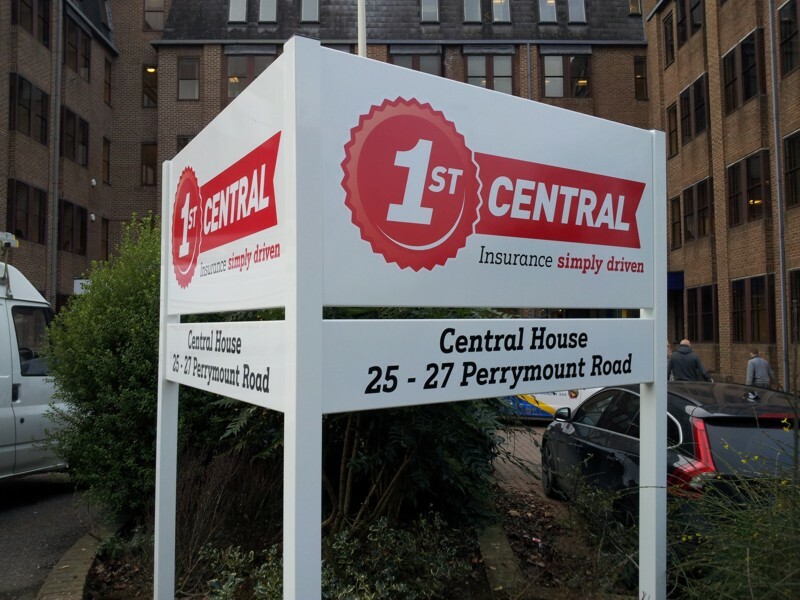 Aluminium Composite Sign fixed to Powder-Coated Aluminium Posts. 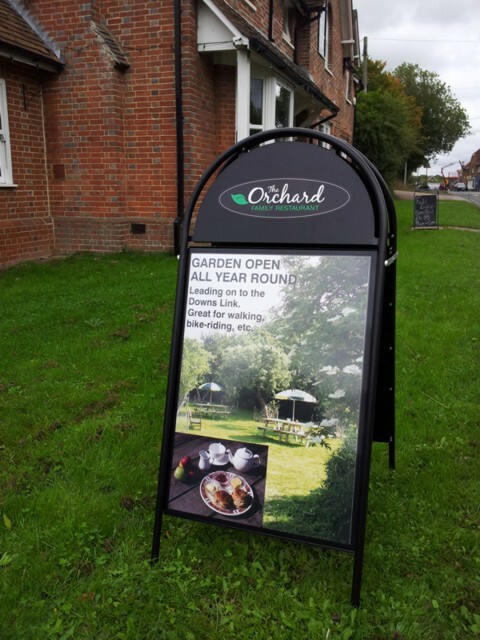 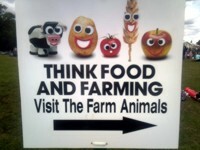 Large A-Board / Pavement Sign with Printed Photos & lettering on 1mm Foam PVC, secured under transparent magnetic panel. 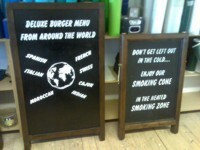 Hand-painted Pavement Signs for Public House. 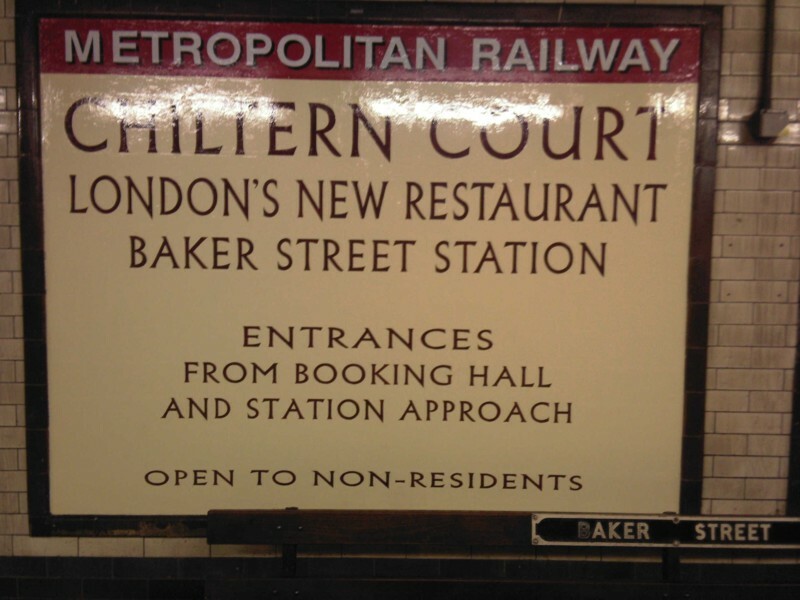 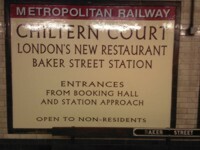 Hand-written restoration of historic sign at Baker Street Underground Station. 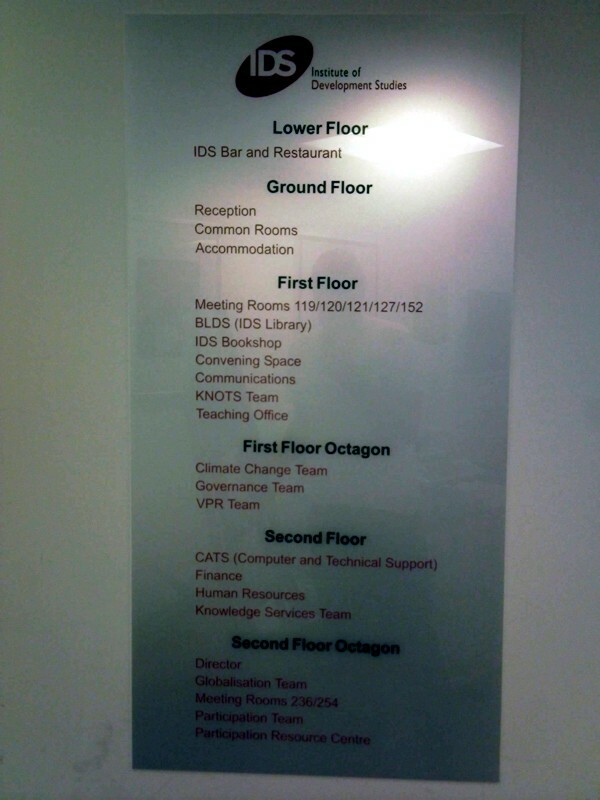 Silver-Anodised Directory Sign with Vinyl Lettering. 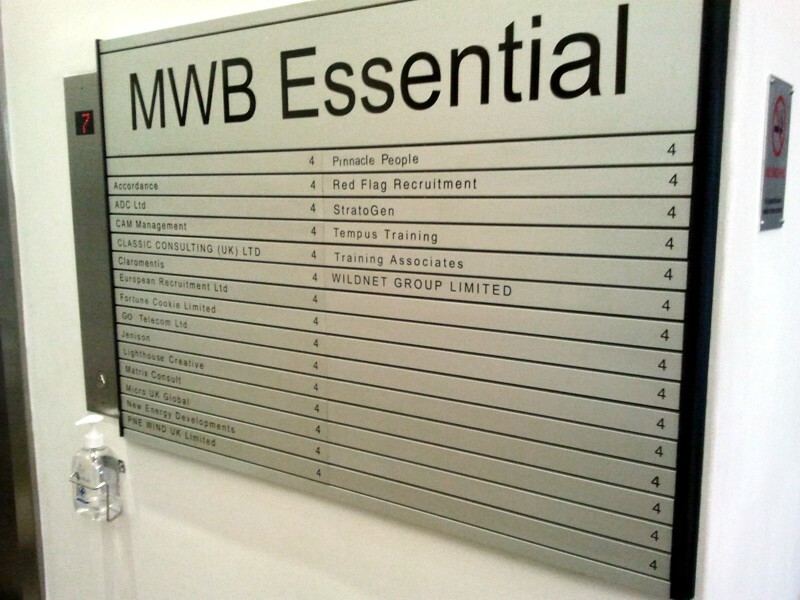 Directory sign on 3mm Metallic Acrylic. 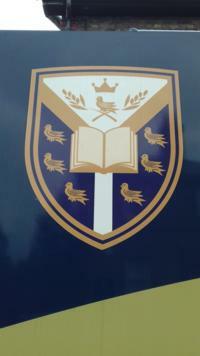 Full Colour School Crest in Self-Adhesive Vinyl. Original Logo designed by McQuillan Signs & Printed on Vinyl. Hand-Painted Wooden Sign with Self-Adhesive Vinyl Lettering. 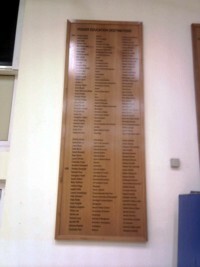 Giant Card. 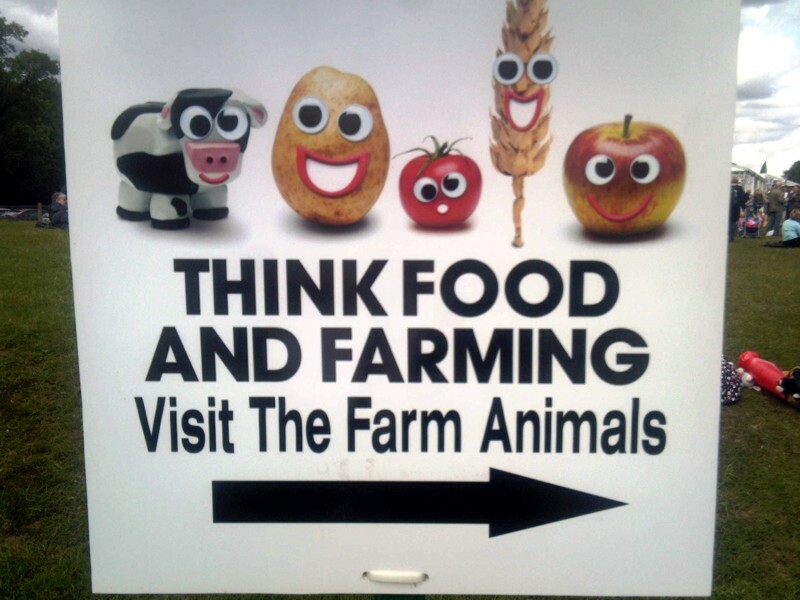 Printed on 1mm Foam PVC, wall-mounted. 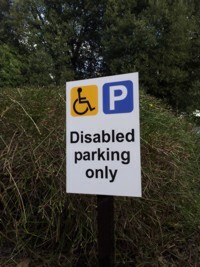 Disabled Parking Only Sign on Aluminium Composite panel - mounted to powder-coated Aluminium post. 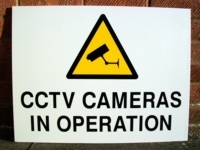 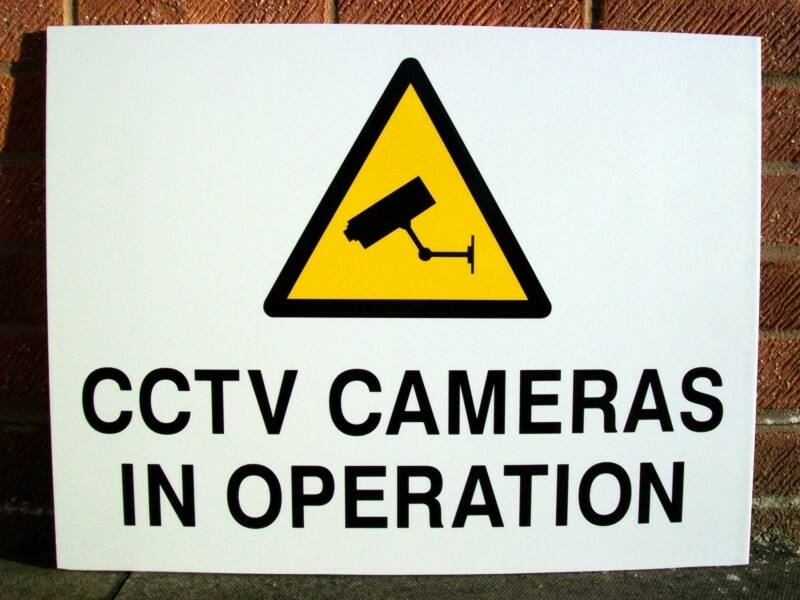 2-colour standard CCTV Sign on Foam PVC. 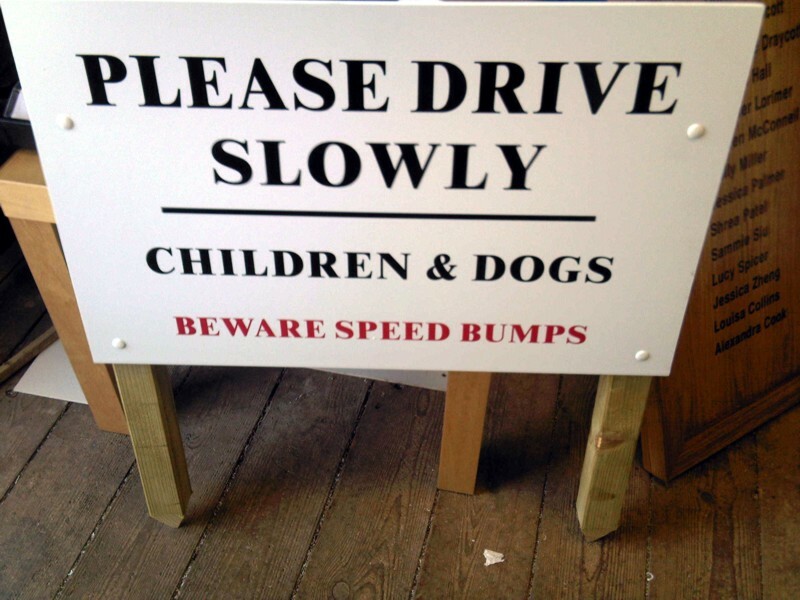 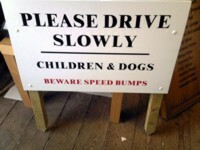 PLEASE DRIVE SLOWLY Sign on Foam PVC with wooden posts. 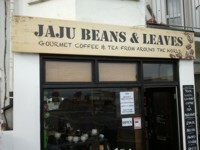 Serving Brighton, Peacehaven, East and West Sussex, Kent and beyond, Mcquillan Signs: Sign Companies in Brighton, Sign Companies in Sussex, Sign Companies in Peacehaven, Signs in Brighton, Signs in Sussex, Banners in Brighton, Banners in Sussex, Banners in Peacehaven, Signboards in Brighton, Signboards in Sussex, Shop Signs in Brighton, Shop Signs in Sussex, Office Signs in Brighton, Office Signs in Sussex, Sign Makers in Brighton, Sign Makers in Sussex, Signwriters in Brighton, Signwriters in Sussex, Brighton Signs, Signs Sussex, Sussex Signs, Peacehaven Signs, Signs Peacehaven, Signboards, Signs for Shops and Offices, Shop Signs, Office Signs, Office Signage, Banners, Magnetic Signs, Advertising Signs, All types of Signs, Banner Signs, Promotional Banners, Building Site Signs, Construction Site Signs, Builders Signs, Caution Signs, Warning Signs, Emergency Signs, Exit Signs, CCTV Signs, Corporate Signs, Custom-made Signs, Danger Signs, Door Signs, Entrance Signs, Lobby Signs, Directory Boards, Honours Boards, School Boards, Sports Club Boards, Display Signs, Exhibition Signs, Exhibition Banners, Hanging Signs, Health and Safety Signs, Fire Safety Signs, Interior Signs, Vehicle Signs, Lettering and Logos, Self-Adhesive Lettering and Logos, Metal Signs, Wooden Signs, Plastic Signs, Pavement Signs, A-Boards, Sandwich Boards, Printed Banners, Retail Signs, Shopfronts, Shop Facsias, Sign Makers, Signwriters, Sign Manufacturer, Sign Suppliers, Signs and Graphics, House Signs, Property Signage, Private Property Signs, Vinyl Signs, Swinging Signs, Sign Fitter, Road Signs, Road Safety Signs, Hazard Signs, Reflective Signs, Outdoor Signs, Exterior Signs, Pub Signs, Restaurant Signs, Menu Signs, Opening Hours Lettering, Café Signs, Market Signs, Traditional Signwriting Traditional Signwriter. 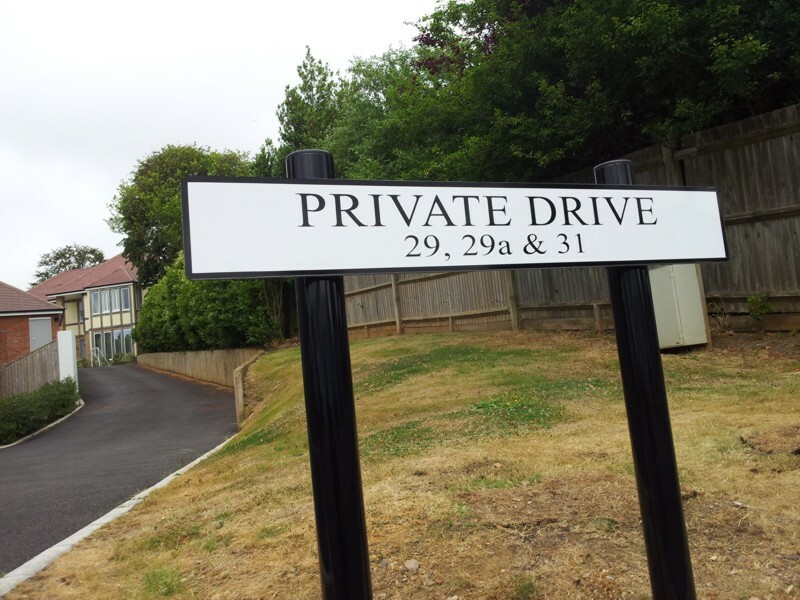 McQuillan Signs was established in 1962 by John McQuillan and has been successfully supplying all kinds of Signage to the Sussex area and beyond ever since. 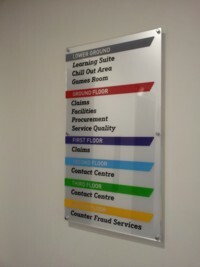 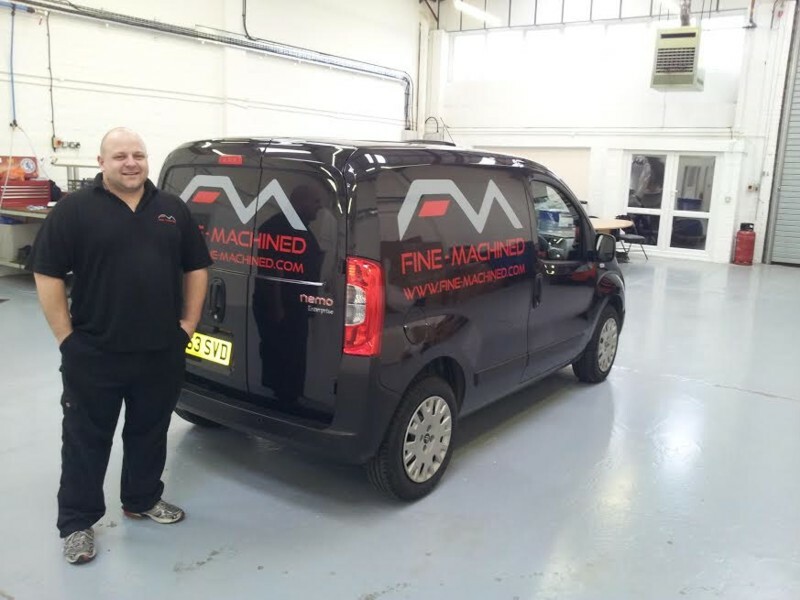 The company is now owned and run by John’s son Richard, who is fully qualified as a Traditional Signwiter at City & Guilds level as well as in many types of modern-day Signage.